Polls have opened in Finland, amid hopes that a new government will pull the country out of its three-year economic slump. PM Alexander Stubb and his conservative National Coalition Party face a strong challenge from former businessman Juha Sipila and his centre-right Centre Party. Juha Sipila has pledged create more than 200,000 jobs in the next 10 years. Finland’s economy has been the main issue during the election campaign. A year of stagnation in 2014 was preceded by two years of recession and unemployment now stands at 9.2%. The governing coalition has struggled to push through reforms, leading to a reduction in support for Alexander Stubb ahead of polling day. A poll published on April 16 by public broadcaster YLE put support for the National Coalition at 16.9%, behind the Centre Party at 24%. Juha Sipila, an IT millionaire, was relatively unknown in Finland until he became leader of the Centre Party three years ago. He has publicly criticized Alexander Stubb’s plans to cut 6 billion euros from budget deficits over the coming four years, dismissing the proposal as unrealistic. 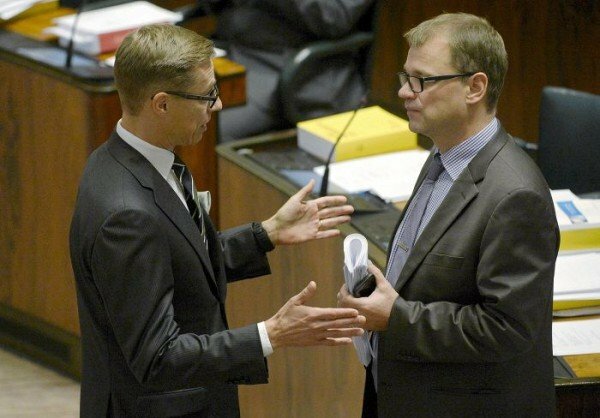 It is unclear clear who Juha Sipila will choose to form a coalition with, if he is elected prime minister. Polls put the Social Democrats at 15.1% and the eurosceptic right-wing Finns Party at 16.7%.